April Knoch is an Associate Attorney with Pentiuk, Couvreur & Kobiljak, P.C. She focuses on Corporate Law, HUD and Housing Law with an emphasis on civil litigation in Municipal Tax Law, Corporate Law, and General Landlord & Tenant Law. She is involved in the many varied aspects of representing housing cooperatives, including attending and chairing Boar and Member meetings, researching legal issues, researching and assisting with HUD issues, and has extensive experience with cooperative document review and drafting. 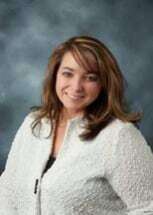 Ms. Knoch is the Supervising Attorney for all housing cooperative governing document research and drafting including articles of incorporation, bylaws, occupancy agreements, purchase agreements, policies and procedures, and rules and regulations. Ms. Knoch also researches and prepares legal opinions and policy drafting for cooperative clients on varying issues of concern for Boards and Management alike. In addition to assisting cooperative boards and management agents with governing document preparation, Ms. Knoch regularly and aggressively assists in the representation of housing cooperative interests in court. Ms. Knoch has extensive background work in working with public housing commissions and HUD regulations, and regularly works with housing commission clients to assist with all legal matters including drafting legal opinions and assisting Commission Boards and Management with development and implementation policy as well as assistance with HUD relations. With her continuing experience in the housing world, she contributes various articles for publication in the MAHC Messenger, as well as Pentiuk, Couvreur & Kobiljak P.C.’s own Cooperative Law Journal. Ms. Knoch is also a member of the National Association of the Housing Cooperative Member Services Committee and the Midwest Association of Housing Cooperatives Education Committee. She is the recipient of Super Lawyers Rising Stars and the Top Michigan Women Lawyers awards. Ms. Knoch attended the University of Michigan-Dearborn and graduated from the College of Arts, Sciences and Letters with a Bachelor’s degree in Psychology and a Minor in Sociology. During her study at U-M Dearborn, she was an associate member of the Biological Honor Society and participated in the Honor’s Psychology program. Ms. Knoch is licensed to practice law in Michigan and Illinois, Eastern and Western U.S. District, Bankruptcy Courts, and the United States Supreme Court.